SSD-only servers are fast and reliable, and the hosting offers a number of features for free whereas other companies will make you pay extra. Flat-line pricing. Chat support is primarily for sales. Probably the most feature-packed email hosting service you will find, even with their cheapest plan. With 8 strategically located servers, you will easily find the one with the fastest response in your area. This service provider offers one of the largest lists of mail clients for virtually any purpose and type of business. Anytime money back guarantee. Pricy in comparison to other hostings. A2 is one of the fastest email hosting services you can find with speed two times faster than average by other providers. 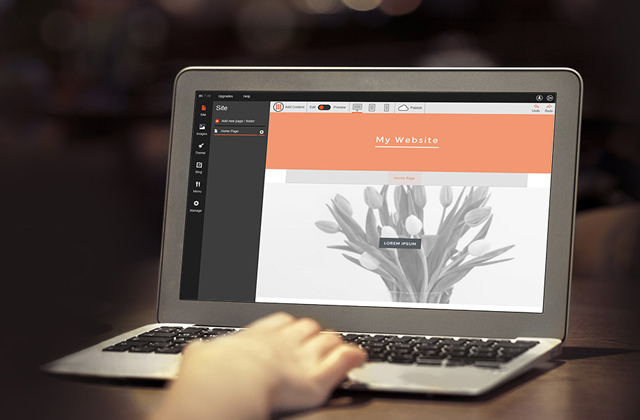 It is also extremely stable and offers high-quality responsive support. The recommended business email hosting offers you a wide variety of features including some that cost much more if purchased separately, like Office 365, for example. 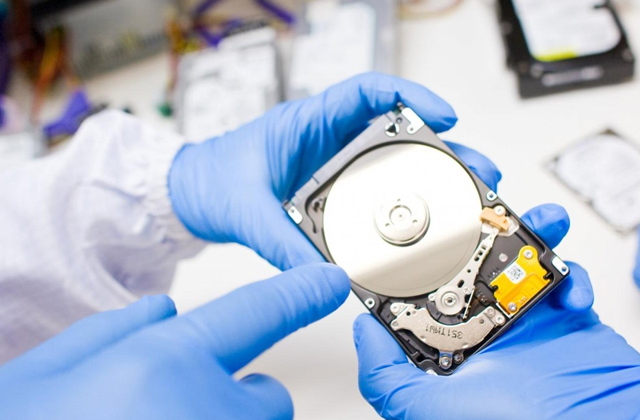 Backup and encryption have a separate cost. 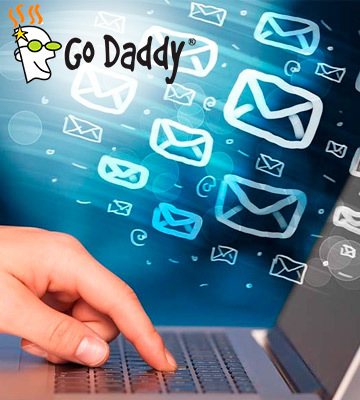 GoDaddy email hosting is one of the most popular solutions when it comes to entrepreneurs. High levels of security, top-level professional support, and the number of offered benefits are one of the best on the market. Business-targeted packages include a nice range of features and still come at an affordable price. The company takes care of the environment and uses green data centers. There might be slight uptime issues. 1and1 email hosting services are very convenient since they are designed in a way for any type of user to find their perfect solution based on the size of the business and the scale of communication going on at all times. Easy to master and simple to use interface will help you do business at its beginning. The hosting provides everything a small business might need without much clutter. A rather basic set of features. 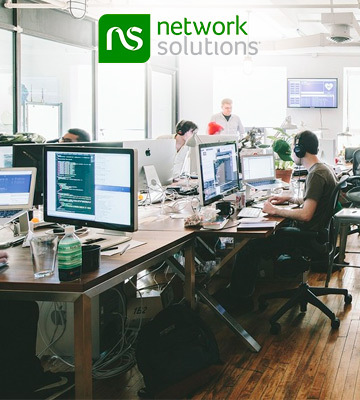 Network Solutions is a choice of small business owners and individual entrepreneurs. 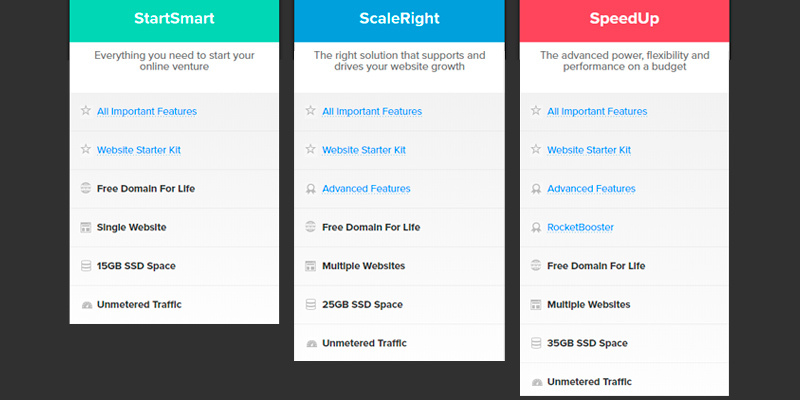 Since they offer a somewhat limited set of features, they do good as your first email hosting. FastComet is a relatively new company on the web hosting market yet they have come to be well known pretty fast. The main reason for that is that the company has feature-packed offers at a very moderate price as well as some pretty appealing peculiarities. What does one usually expect from a business email hosting? First of all, when it comes to business, it's stability and security, since money and prestige are involved. 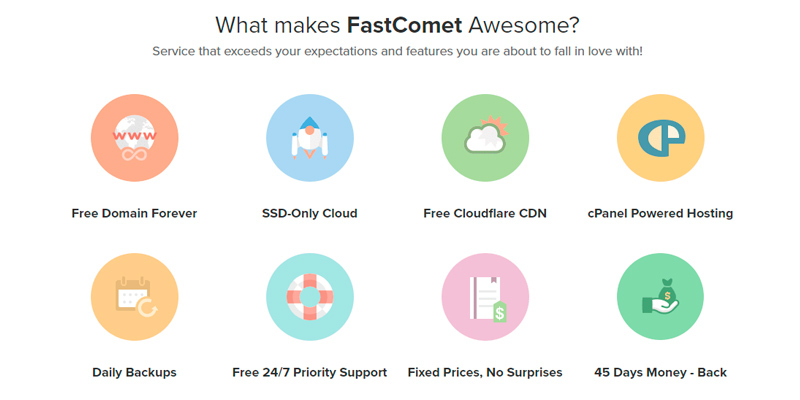 Even the cheapest FastComet package includes Let's Encrypt SSL, Cloudflare CDN SSL, hotlink and password protection, firewalls, malware removal, and other security-related features. They also offer backup and depending on the package you choose, you can have a backup of 7 or 30 days worth of data. FastComet has 8 servers all around the globe, which is more than many other hostings can offer, and all their servers are SSD-only. SSD-based servers are much more reliable and fast, they usually don't crush, so you can rest assured all your data will be safe. 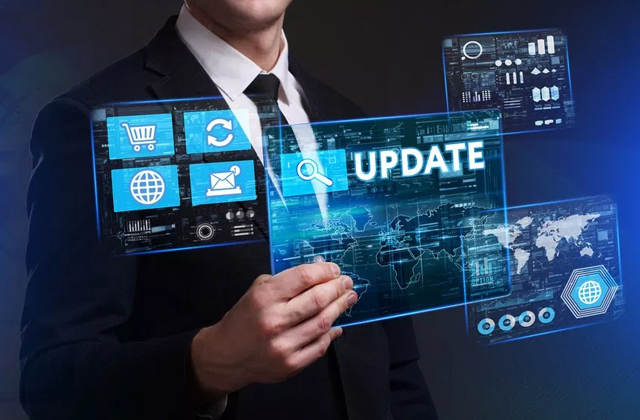 Moreover, with the team of professionals monitoring the network 24/7, even if you happen to catch a glitch, the response will be fast and sure. 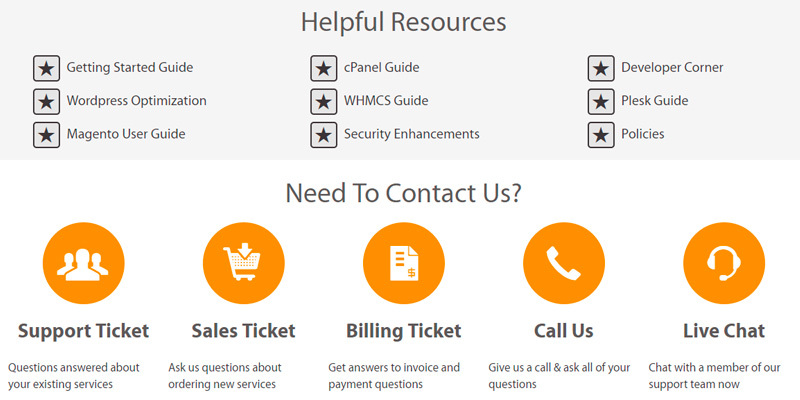 Tech support at FastComet email hosting can and will answer you anytime within minutes via chat, email, or phone. It is a common occurrence that when you register for some premium service, they offer you your first month either free or at a lowered price "to try" and when the month passes and you decide to renew the service it costs you more, sometimes quite a bit more; and when the general prices rise all users, old and new alike, are expected to pay more or "get out". This will not happen to you with FastComet since their pricing policy straight out states they have flat-line pricing. This means that the price you pay upon registration is the price you will pay for as long as you use the plan. You might think it's not a good idea to pay full price from the start when you might end up unsatisfied with the service. Well, we'd like to assure you that dissatisfaction is pretty rare with this company and anyway, the price is not big either, there are much more expensive offers on the market. It is, in fact, a very good offer. When you purchase an email hosting from FastComet, you get a free domain—new if you don't have one already and free transfer if you do. Now what's interesting here is that that domain is claimed to be "free forever". You won't need to pay for it later. Why, this is quite generous, too. There is actually a wide range of tools included in the purchase of the FastComet email hosting services that you won't have to pay additionally for, like free app installation and upgrade, website builder, templates, etc. 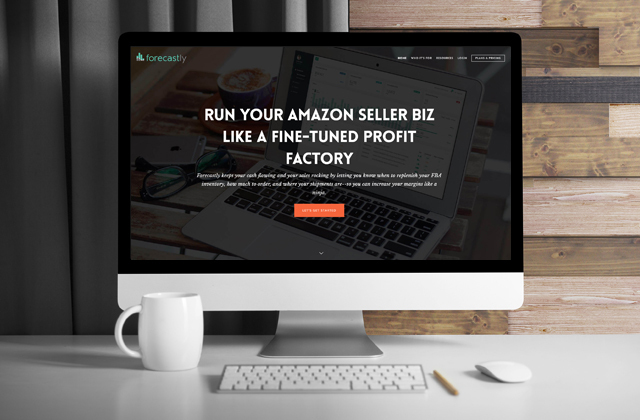 If you decide to move your website to FastComet along with your email, you will get a number of awesome features at virtually no cost. 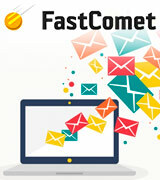 FastComet email hosting services offer a number of options for your mail client. 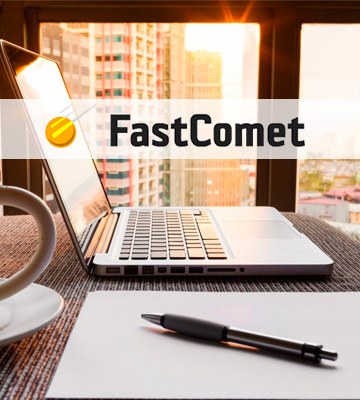 Although it is not the largest list we have encountered during our research, FastComet does provide some choice between the most popular and convenient packages, from SquirrelMail to Roundcube and poMMo, Webinsta, Dada Mail, and ccMail. Depending on your personal needs, your type of business, and the clientele you have, you will be able to select the most convenient option. Wrapping up all the above, FastComet is high on our list for the best email hosting for small business and individual professionals thanks to its robust features list and solid reputation when it comes to speed, security, and tech support quality. The A2 email hosting offers one of the fastest solutions on the market, the speeds they provide are twice as high compared to the average within the industry. Although the company only has four data centers, they are located with the intention to provide top-notch high-speed services to the clients from any place in the world: the main data center is in Michigan, USA, and there are additional ones in Arizona (also the USA), in Europe (Amsterdam), and in Asia (Singapore). This way, wherever you are, you will have a server more or less close to you. All the data centers are monitored around-the-clock by professional crews, too. 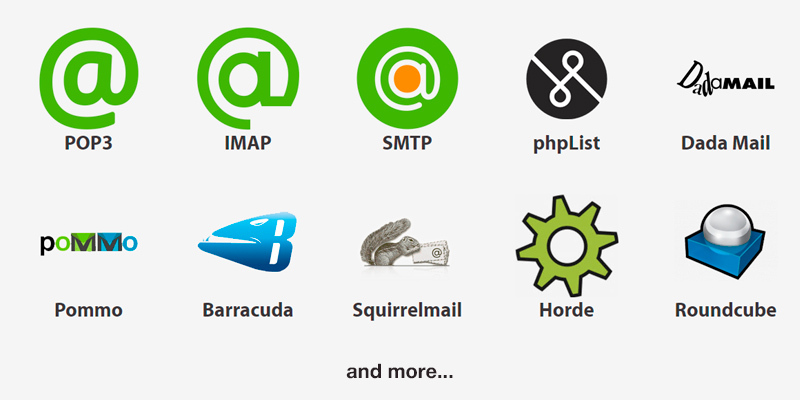 Besides the high-speed connection, the email hosting services by A2 are extremely diverse: you can choose your perfect mail client from the list of over twenty options including the most popular POP3 and IMAP, SquirrelMail, RoundCube, and more. Honestly, this might be one of the largest lists of solutions we've seen during our search. 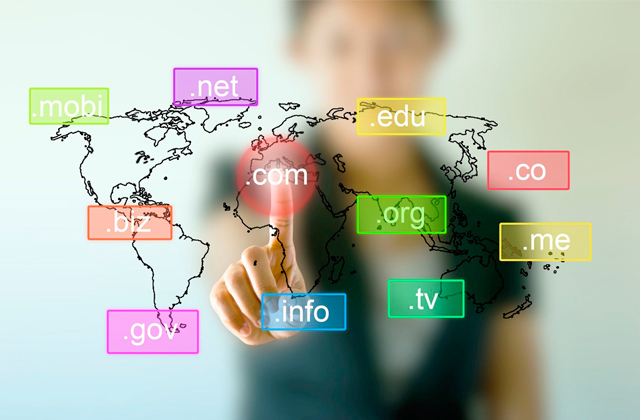 With your account at A2, you get an unlimited number of email addresses under your domain name. That is, if you choose either Swift or Turbo package, but even the cheapest Lite plan offers you up to 25 email addresses. More than enough for an individual entrepreneur and pretty adequate for a small business. Now to be completely honest, A2 business email hosting is not the cheapest option out there by far. There are more expensive offers, of course, but there are cheaper ones as well. 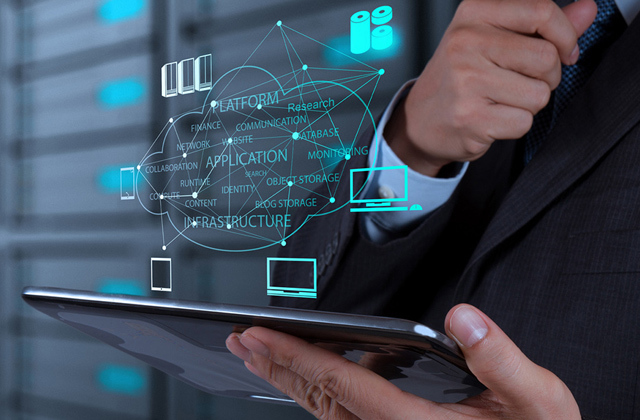 Moreover, we'd like to point out that Lite, the cheapest A2 offer, is quite limited compared to two other of their packages: where both Swift and Turbo provide you with the possibility to manage an unlimited number of websites and unlimited databases, the Lite plan will only allow a single website and up to five databases. Above, we've also mentioned the limit of 25 email addresses included in Lite package. There are other limits as well. 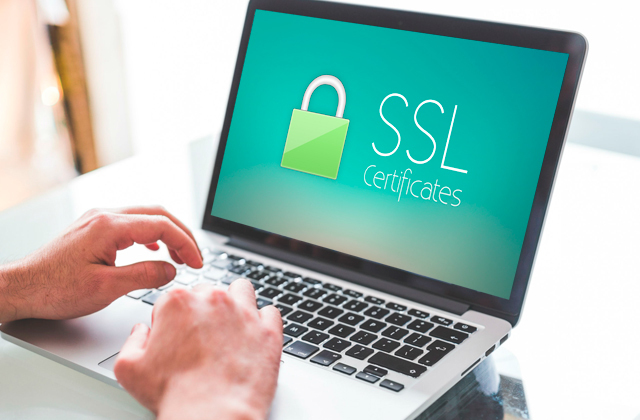 However, whatever package you choose, even Lite, you will have unlimited RAID-10 storage, Let's Encrypt SSL certificate, CloudFlare CDN, hack scanning, spam filtering, and many other essential features aimed at security and reliability. What we're trying to say is that despite being rather expensive, this email hosting is worth it for a whole list of reasons. Since we're talking money, there is another nice thing to consider: the A2 website does state that, whatever package you settle on, if you find it dissatisfying, you will have the possibility to opt out and get your money back at any time without restriction. This shows the company's utter and complete certainty that their email hosting services are top-rated and not many customers leave them after trying and comparing to others. This surely should count for something. 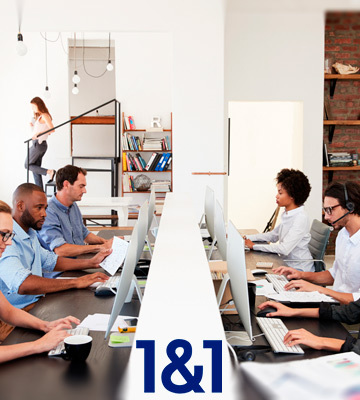 Same as most top-shelf email hosting services providers, A2 has teams of professionals who will watch and maintain the servers with your data 24/7 keeping them up 99.9% of the time. They will also answer your questions round-the-clock as well—you can reach the support crew via phone, chat, ticket, email. As far as we've learned, the response comes within minutes regardless of which way you knock. A2 also offers an extensive Knowledgebase where you will find the answers to many, if not all, questions. 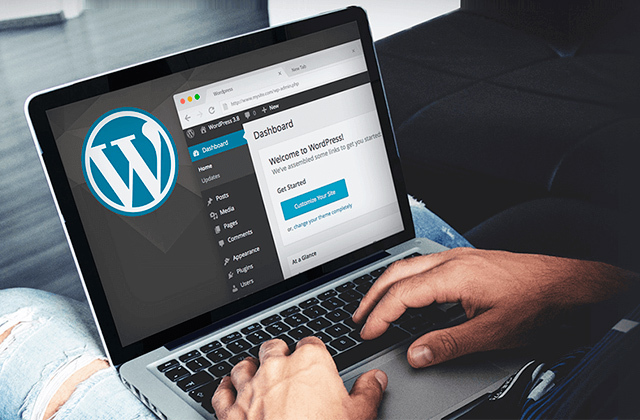 And, finally, there is a blog with news, offers, and all kinds of guides and tip not only on how to maintain your hosting and website but on how to make your business more successful. A2 is a truly dedicated and helpful company. 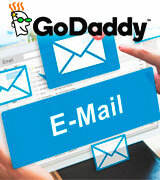 When it comes to email hosting services, GoDaddy offers four packages to choose from. In our opinion, the most beneficial to an entrepreneur would be the Business Premium package since it offers much more features than both Essentials and Plus plans. Basically, the difference between the Essentials and the Plus packages is that Plus provides you ten times more storage space for your emails (Essentials will give you only 5GB and all other plans have 50GB); that's where the differences end, the domain-based email address, shared calendars, aliases, and syncing are present in all four plans. Business Premium, however, is an entirely different matter. And here's why you need it. Since we've already mentioned the storage space, let us point out that Business Premium email hosting from GoDaddy offers you 1TB of secure OneDrive® for Business storage in addition to the 50GB email storage available for Plus. That's quite a lot of space. 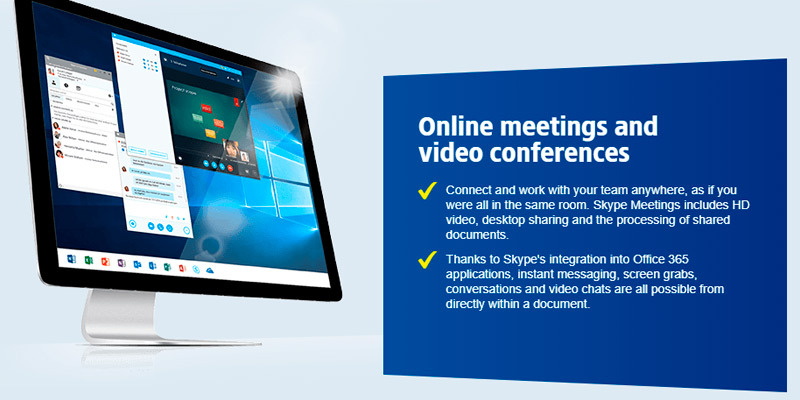 You will also gain the possibility to hold online meetings and video conferences in HD quality without limits (neither Essentials nor Plus has this opportunity at all, let alone unlimited and in HD). This will come in handy when you and your partners or employees are located somewhere without immediate physical access, say, overseas. The Microsoft Office of the latest version, including MS Word, Exel, PowerPoint as well as Outlook, Publisher, and OneNote. 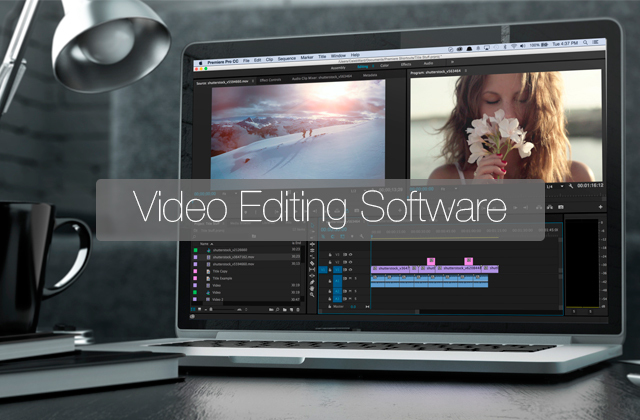 Moreover, you will be able to install them on up to five PCs or Mac devices with a single license. 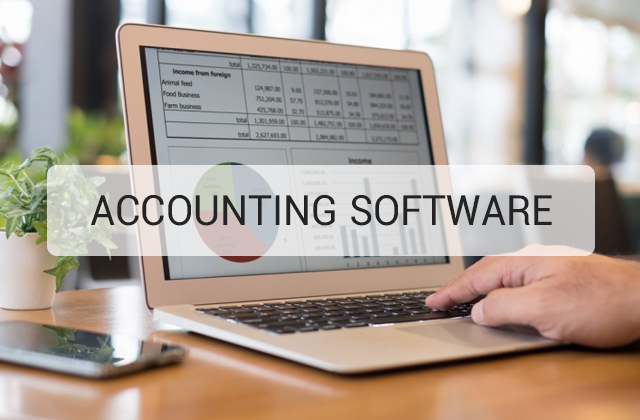 Microsoft Invoicing, an app that will help you create invoices with ease—a customizable template lets you add your logo and helps you create a hassle-free routine where you spend time improving your services instead of dealing with paperwork. 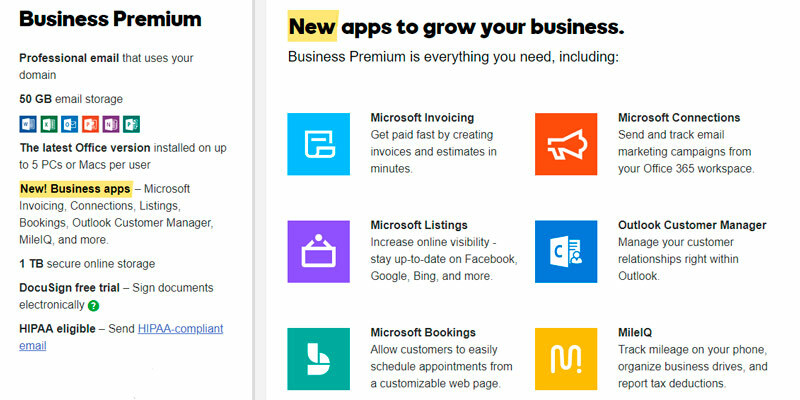 Microsoft Connections, a nice and convenient tool for email marketing. Professionally designed announcements and newsletters will gain you new customers and motivate old one to stay loyal. Outlook Customer Manager. 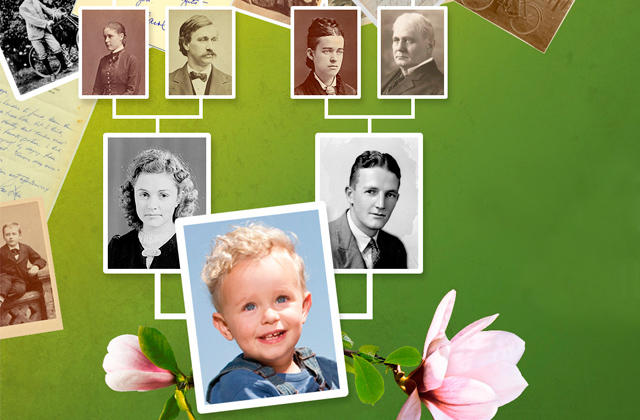 Well, this one name speaks for itself—this app will organize your customers' info. Microsoft Bookings is not an app to book plane or theater tickets, no. It's an app for your customers to book a meeting with you. It's flexible and easy to use. Microsoft Listings will help you enhance your visibility and track your results in social networks and across search engines like Facebook, Bing, and Google. MileIQ is a gift for someone who drives a lot for work. You set your working hours and the app will automatically distinguish between business mileage and personal one. Also highly adjustable. Sure, you can obtain all these apps separately on the Microsoft Office 365 page but why not get it cheaper with a GoDaddy email hosting? The final benefit is this: the email you get from GoDaddy's Business Premium plan is HIPAA Compliant. 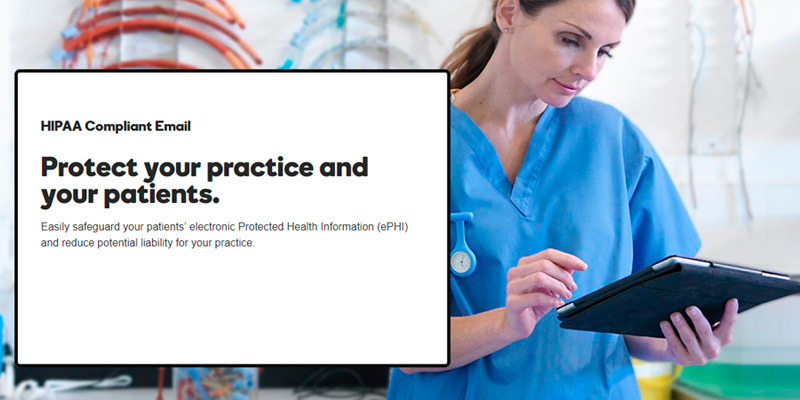 This means all the information you keep there is additionally protected according to the regulations set to protect the privacy of healthcare patients since there is a lot of sensitive data there. The requirements for HIPAA are quite strict. GoDaddy is a well-known name, famous for great protection, professional support team, and a wide selection of perks you won't get anywhere else. And it's pretty affordable. If you're a small business unable or unwilling to pay a lot for just email hosting, this option is quite nice. 1and1 hosting service is one of the well-known ones on the market, with millions of customers. It is also one of the oldest web hosting companies today, dating back to 1988. The fact that they have survived and thrived in today's highly competitive IT market for all these years probably says something. Among the many advantages of 1and1, the affordability and the selection of packages depending on the customer's specific needs. When it comes to email hosting only (separately from a web hosting), 1and1 has for you four plans. All of them are relatively cheap compared to some competitors from the same top-layer group. The Basic plan is more or less the choice of freelancers, in our opinion—it does include 2GB of storage, a 1and1 webmail for all your devices, and a domain-matching email address that will make you look professional, but that's it. It is really very basic. 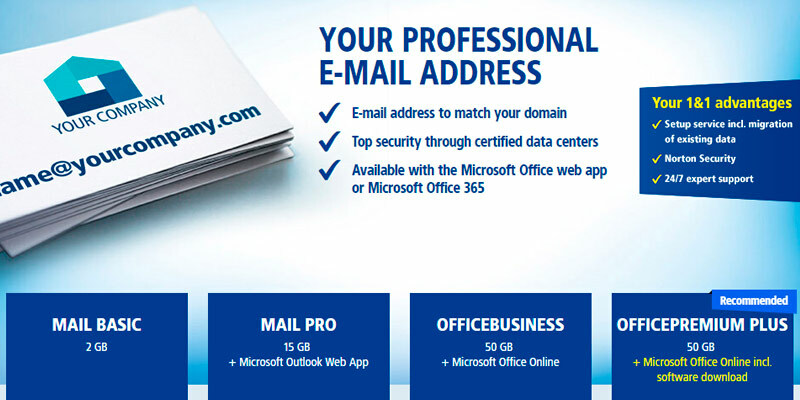 Mail Pro is slightly better, with 15GB Microsoft Exchange account and Outlook WebApp. This might be suited for a startup or very small business, the Exchange is very adaptable and flexible, a great help for any entrepreneur. 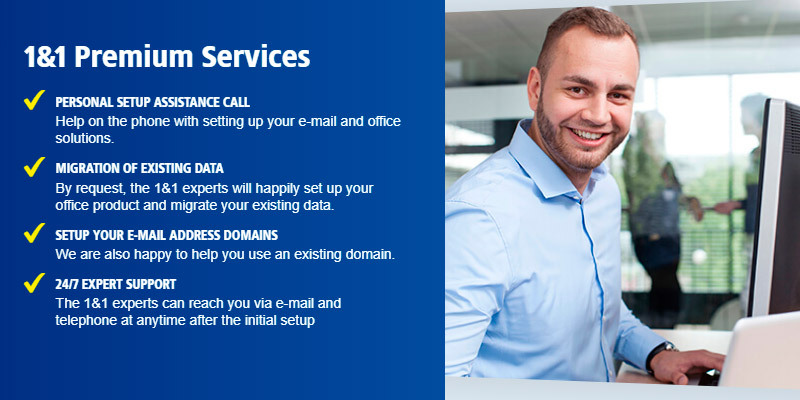 You can even buy MailPro for several users; this way, if you already have or plan on hiring employees, you can provide them with an email address that matches your domain. However, for more benefits and to help your business flourish, we do recommend you to turn your eyes to more sophisticated OfficeBusiness and OfficePremium Plus packages. Both OfficeBusiness and OfficePremium Plus professional email hosting services offer fuller packages created with small and medium-sized businesses in mind, as opposed to the more one-person target of Mail Basic and Mail Pro. When your business is developing nicely and you wish to keep the data, 15GB will run out sooner rather than later. OfficeBusiness and OfficePremium Plus include 50GB Exchange accounts and 1TB OneDrive for Business of online storage space instead. Granted, that's not the biggest offer on the market, but it is quite substantial nevertheless, more so when you consider the cost of the packages, which is not too high, really. We do suggest you keep in mind that the prices set out on the main page are prices per user, though. Besides storage space, the 1and1 business email hosting will provide you with Skype for Business and online version of Office 2016. And, if you decide to purchase OfficePremium Plus, in addition to the online version you will also gain software version and version for mobile gadgets; you will be able to install them to up to 5 devices each. Finally, the OfficePremium Plus includes Norton Security Online, a highly appraised antivirus protection. Of course, all the data you have in your emails will be protected by security certificated regardless of the plan you choose but there is no such thing as too many security measures when it comes to business communication, now, is there? If you care about the environment and wish to battle global warming not only at home but along with your business, 1and1 would be the best email hosting to use. 1and1 use green data centers in the USA and Europe. Green data centers are constructed to strictly monitor and regulate energy and water consumption as well as carbon emission. 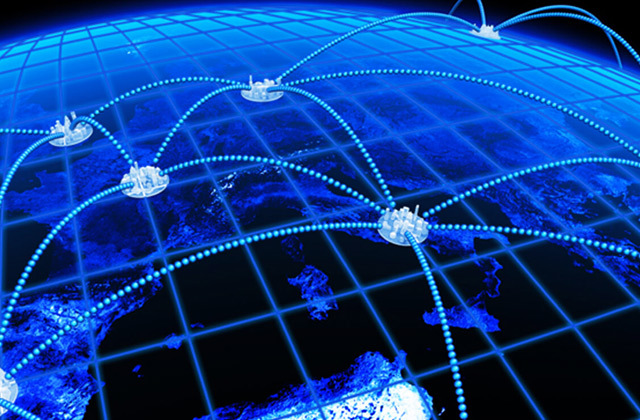 Network Solutions is a kind of a pioneer in the Internet industry. The company was established in 1979 and went through a number of "changing hands" in the time since, the latest and current being by the Web.com in 2011. Just like the Web.com states on their website, Network Solutions email hosting today is an option mainly for small businesses and/or individual entrepreneurs, it is pretty simple if you compare them with some behemoth providers like GoDaddy. Nevertheless, their offers are worth considering, in our opinion. First and foremost, the most important issue to any business person is taken care of. We are talking about security and virus protection. Whichever of the three plans offered (Professional Email, Professional Email Plus, or Microsoft® Hosted Exchange) you choose, every single incoming email will be thoroughly scanned and cleaned of viruses, no spam will pass them either. The selection of email options is rather narrow, unfortunately, but you will have the possibility to use the most widespread ones: POP3, IMAP, and Webmail. The Network Solutions email hosting services do allow integration with Outlook, which is good. The catch here is that syncing address book, calendar, and tasks in Outlook is only permitted in the most expensive Microsoft® Hosted Exchange package. Depending on the plan you choose, you can have either three, ten, or an unlimited number of aliases, or forwarding addresses, for your email. This is convenient if you wish to setup addresses like info@yourdomain.com or support@yourdomain.com to make it easier to sort the mail. 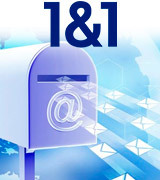 Network Solutions professional email hosting will provide you with most of the necessary tools to deal with your mail. The email and the drive storage space both depend on the package you choose, but the main mailbox tools can be found in all of the plans. You will easily organize and share your address book with your colleagues and will be able to set restrictions on that feature. 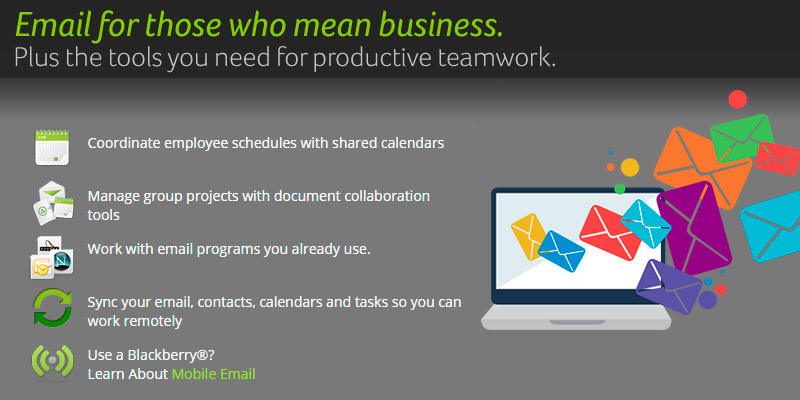 Sharing a calendar and tasks is beneficial to avoid clashing schedules. The email interface also allows you to auto-reply, forward your mail from other mailboxes to your Network Solutions one, as well as to create folders to sort your mail by any subjects or topics. All the features are fairly basic, but you'll be surprised to know that not every email hosting provider includes them into the general purchase, sometimes you'll have to pay extra for these simplest things. There is a selection of features you can opt to have if you wish or opt out of if you find them unnecessary. 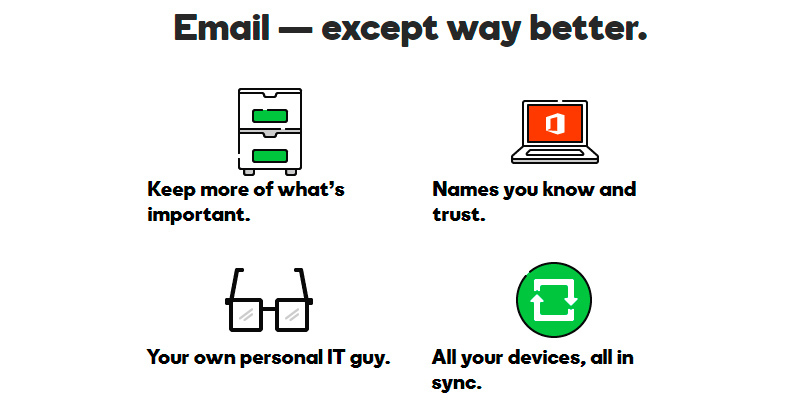 One of these features is Catch-All email account. We, humans, are creatures prone to making mistakes, and spelling mistakes are, sadly, quite widespread today. What can we say, the world rushes forward and we are are all in a constant hurry, so spelling Kat instead of Kate or mistaking John for Jack is not that uncommon. If your email address is something you know is easy to misspell, the Catch-All account might save you quite a number of clients and maybe a bit of good reputation. 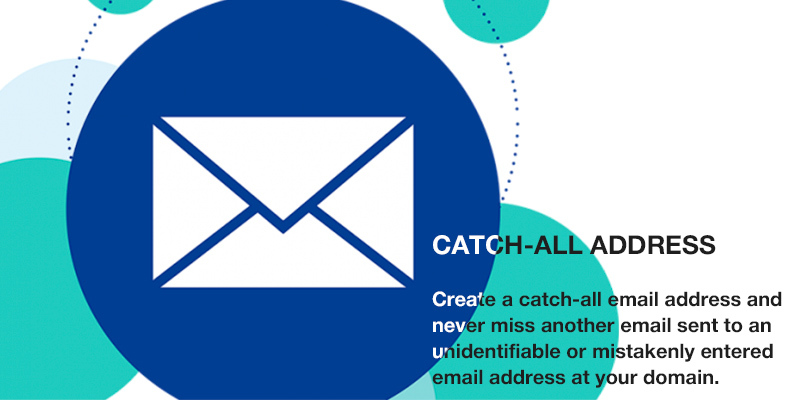 Catch-All is designed to filter all the incoming email for your domain name and, even if the actual recipient (the one before the @) is misspelled, Catch-All will redirect the message to your main email inbox. 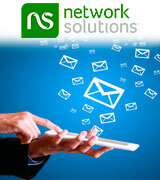 You can add a Catch-All function to your email at Network Solutions and it won't cost all that much. An email hosting company is, essentially, what the name suggests it is, a company that hosts and tends to email servers. It is hard to find a person today who has never used an email—if you have ever registered for any website, be it a blogging platform, an online shopping site like Amazon, or a social network, you need an email to confirm you're a real person and to have an address to receive notifications and information in the case you've forgotten your password or your account has been compromised. There are next to no actions a casual Internet user can perform without having an email. Consequently, to run a business with any kind of online presence you also need an email; and, let's face it, we're now living in a digital age and a business with no Internet presence at all is more or less doomed. To be a successful entrepreneur and to expand your business, you will most certainly need to get a website and to deal with email. There is a wide variety of options to register an email box for yourself, some of them free, like Google's Gmail, Yahoo! mail, and many more. But when it comes to business, using a free webmail (a web-based email client that uses a web server) or hosting is considered a bad practice for a number of reasons. First and foremost, free email services face quite a number of issues when it comes to privacy: from spam and phishing emails dropping into your inbox to some serious privacy breach scandals popping out in the news here and there. Also, maintaining a service always costs money so free hostings usually run on advertisements, which can be a huge bother. 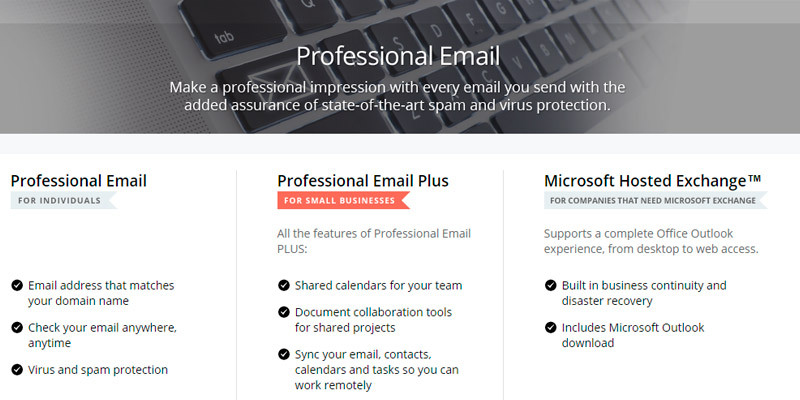 Premium email services, on the other hand, help you escape all those and some other issues. Plus, almost all of them offer the option to create a domain-based email address, via transfer or by buying a completely new one, which can be that very last touch to your image that will fully convince your potential partners and clients you mean real business. Well, in the best case scenario. 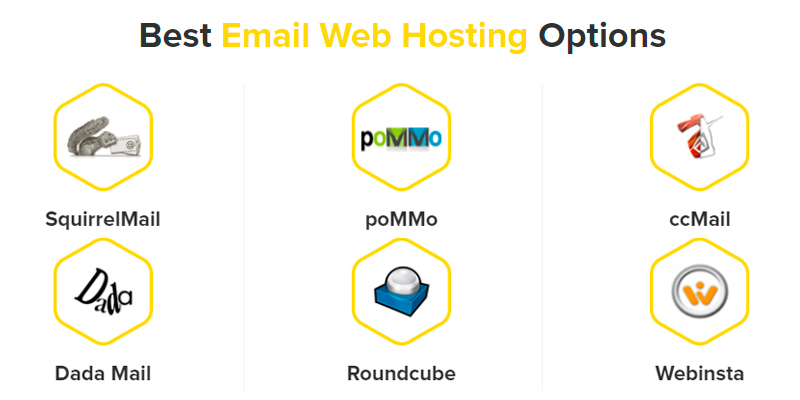 And to ensure this best-case scenario, we've analyzed a selection of email hosting services and made an approximate top-5 which we would recommend to our friends. Here they are.